JGBowers, Inc. Hires a New Financial Controller | JG Bowers, Inc. In mid-September, Ramona Prochnow started working at Advanced Cabinet Systems as the financial controller for JGBowers, Inc. and affiliated companies such as ACS! Ramona will oversee all financial departments within the JGB umbrella. With her vast experience in manufacturing accounting and impressive credentials, we’re excited to have her on the team! Ramona’s credentials stood out to the management team. For starts, she holds a bachelor’s degree and MBA from Ball State University in Muncie, IN as well as her CPA license. 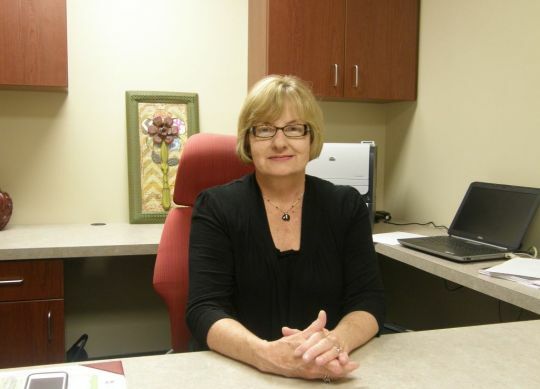 In addition, Ramona is an adjunct accounting professor at Indiana Wesleyan University’s College of Adult and Professional Studies.“We were impressed with Ramona’s credentials and memberships. We know she’s the right person for the job, and we’re excited to have someone with her expertise overseeing our finances,” says Whitney Bowers Pyle, Vice President. Ramona has been a member and served on several boards within her expertise. She served on the leadership cabinet for the Indiana CPA Society and as the treasurer and president for the American Society of Women Accountants. Ramona is also a member of the American Institute of Certified Accountants. Lastly, she is a former president of the Institute of Management Accountants. Prior to being employed with JGB, Ramona’s previous employment includes spending the last eight years with Winterfield, LLC. in Marion, IN. We’re glad to have Ramona on board and are looking forward getting to know her, working with her on our financial strategies, and sharing experiences with her.